Lantern Roofs Hemel Hempstead | Lantern Roofs for all property types. To enhance a property with increased natural light and excellent thermal efficiency. The purpose of adding a lantern roof to your home is mainly to benefit from maximum light to flood your home with warmth and to give the illusion of more space. Suitable for any type of property, whether you own something modern or traditional, the lantern roof is a highly desirable and sought after home improvement product, offering the latest trend in contemporary glass roofs. Our lantern roofs in Hemel Hempstead are available in various shapes and sizes, made to measure so that you gain the perfect fit for your home. We can incorporate roof lanterns into flat roof renovations, extensions, kitchens, orangeries and more. You can enjoy the views of blue skies, sun rises and sunsets from the comfort of your home throughout the different seasons. Our lantern roofs are sturdy and robust, able to withstand even the most adverse weather conditions including heavy snow. Our beautifully designed lantern roofs have a minimalist look, made from super strong materials with elegant sightlines making them a stylish and elegant option. They look aesthetically pleasing from the outside as well as the inside, adding value to your home and visual appeal. Our lantern roofs are intelligently designed to work efficiently in all seasons. When it is warmer, the lantern roof works to reduce the extreme heat from the sun to regulate the temperature in your home whilst you benefit from increased light and brightness. In the colder months, the lantern roof traps warm air inside of the home to keep a moderate and comfortable temperature at all times. You will find that your heating and cooling costs lower as well as your electricity bills. The thermal efficiency of the lantern roof makes it an environmentally friendly selection. With your energy costs down your carbon footprint will also decrease, contributing to a greener environment. Our lantern roofs come in a number of different shapes and designs and are available in square, rectangular, octagonal, circular, pyramid and double hipped styles. Depending on the amount of space you have available and which room you want to install it into, the lantern roof opens up to your home giving it a completely new lease of life. Especially popular in orangeries, conservatories and living areas, the lantern roof can be installed anywhere in the property. Simply get in touch to discuss your exact specifications and requirements and we can recommend on the best place and solution for your property. Available in a number of colours and finishes, we can create a lantern roof solution that will seamlessly blend with your property aesthetic or if you’d prefer, create something to stand out. With neutral and standard colours as well as bold and bright hues, you can create a lantern roof that is completely unique to you and your personal taste. A lantern roof affords you the privacy that you don’t get with traditional windows or doors. You won’t have to worry about the neighbours being able to see into your property with a lantern roof that elevates the height of your home, without compromising on privacy. You can enjoy natural sunlight without the need for drawing curtains or blinds to keep out prying eyes. 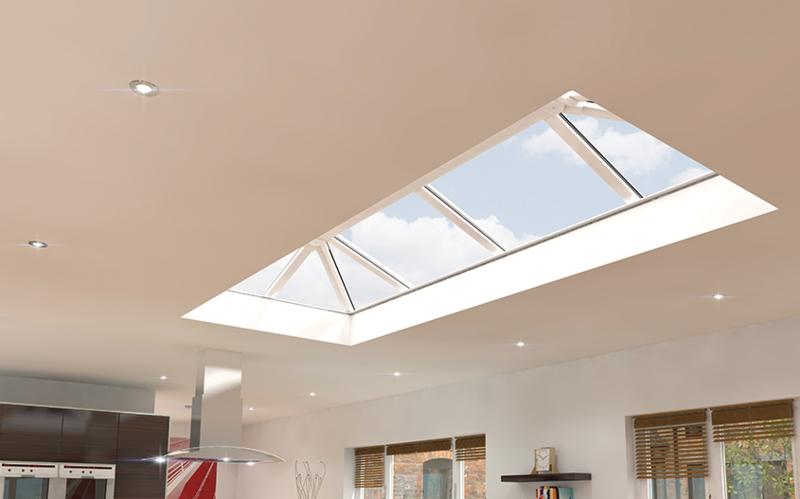 Our lantern roofs have been designed to offer clean, straight lines that create bright and airy rooms and a beautiful aesthetic for any property type. Your home will feel open and spacious without feeling vulnerable. Our lantern roofs are extremely secure and offer a level of protection that maintains the structural integrity of your property. Your lantern roof will be water tight and weatherproof, with all of the modern benefits of superb double glazing. You won’t need to worry about costly or time consuming maintenance with self-cleaning glass and long-lasting design. Insulating Windows offers a full supply and fit service for our lantern roofs throughout Hemel Hempstead, St Albans, Amersham, Luton, Leighton, Buzzard, High Wycombe, Milton Keynes and the surrounding Hertfordshire towns. We are solely dedicated to offering a leading home improvement service to all of our customers. We offer unrivalled lantern roofs to all of our customers in Hemel Hempstead and the surrounding areas. We only work with premium grade materials to deliver state-of-the-art lantern roofs that offer a range of benefits and features. For a no-obligation quote, simply use our clever online tool today.